The Y7 2019 lines up with many higher-class phablets display-wise, touting a 6.3-inch 19:9 facade, while it delivers a 4000mAh battery, whereas a good number of its mid-end rivals settle for 3000-3500mAh cells only. 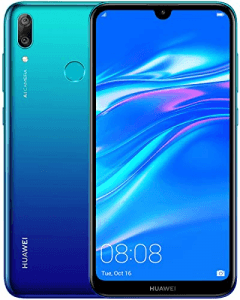 That being said, it features a dual-lens camera system (It has 13- and 2-megapixel lenses), which was all the rage within this Android category as of its release. Pros/Cons Review The Y7 2019 tries to edges out some of its competitors with its 4000mAh battery and 6.3-inch 19:9 display, but it runs on a middling 1.8GHz-only eight-core processor. Discover its other pros and cons in our analysis of its specs here. 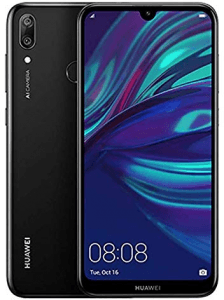 (more) Latest Huawei See all the newest Huawei phones.